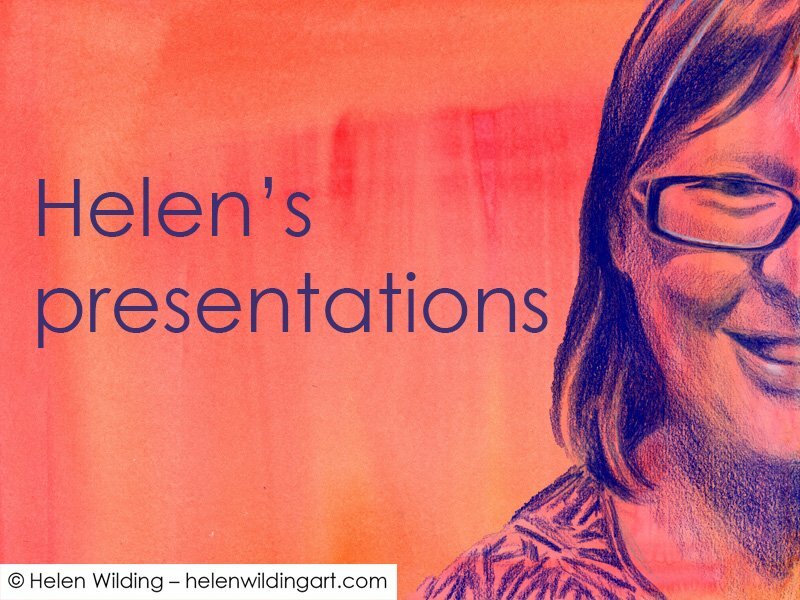 Hi – I’m Helen. I am simply an individual who cares. I am not a company. I have no funding. I am not employed as a carer consultant. I have created this project in my own time and out of my own pocket because I think it matters. I hope you do too. Many thousands of unpaid hours have gone into creating this website and resources in order to make a difference. I can’t afford to pay others to do the work, so I have learnt to do everything myself. I’m very proud of that achievement. Regardless, I have carried huge costs – web hosting, software, hardware, art materials and, above all, lost income from the time I have spent on it. I don’t regret any of that, but in order for this project to be sustainable into the future it needs to work as a cost recovery social enterprise. Basically – I need to pay my bills and I’m asking for your help. Here are some ways people have supported my work in the past. Of course I would be happy for other suggestions too! Yes please!!! I don’t pretend to be a charity of any kind, and I cannot offer any sort of tax saving. But I can offer sparkly good kharma and my very, very sincere thanks for your support. I sell beautiful signed prints of my artwork on Etsy. This helps to support my work on this project and goes back into my art materials (which cost a fortune). Please support this fundraising effort by not printing my work from the internet without permission. Thank you! Want to use our stories, artwork or videos elsewhere? When your intended use falls outside the permissions on this website a non exclusive licence is the answer. This is an agreement with the author who holds the copyright (including those not publicly identified on this website). Fees will usually apply and will depend on your needs and your arrangement with the author. 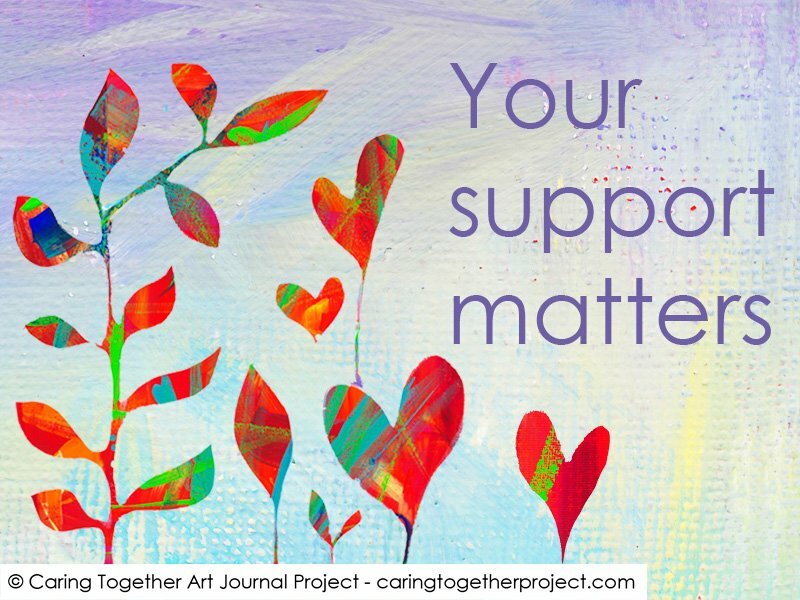 Email carerproject@gmail.com to get in contact. My own work has been licenced on a number of occasions for use outside this project. You may have seen my “Welcome Mat” artwork on posters and bags around Australia. Other work has been used in carer information booklets, posters, handouts and presentations. These have all been fee based arrangements that have supported my work on this project. 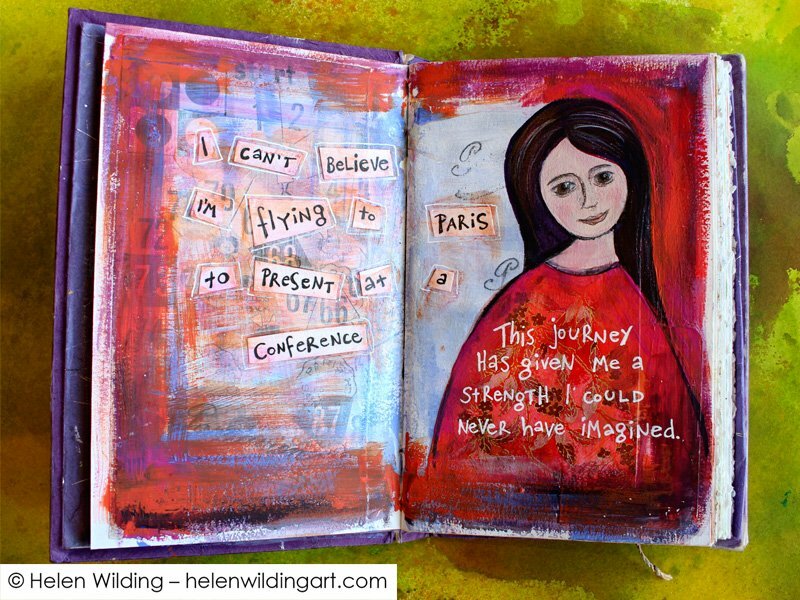 I am often asked to present the carer viewpoint at conferences and training events using my artwork and stories. I feel very honoured to be asked, and you can see details of my previous presentations here. I am also often asked to do this for free. I would love to – but I can’t afford to take that time from my paid employment unless I make up for it. I am not being unfair – I simply have bills like anyone else, and I can’t afford to lose any more of my income. If you would like me to present at your event, please understand that I need to recover my costs of attending. This includes lost income from my usual job (equivalent of a senior allied health professional), transport, accommodation, conference costs and preparation and traveling time. Obviously, these fees enable me to continue working on the project – and without them I effectively end up having to pay you! Please feel free to get in contact, but please don’t be offended if I have to ask for a fee to cover my time and costs. Thank you so much to those services who have funded my presentations! At times I have received bursaries and specific funding so that I can present the carer viewpoint at conferences. As an individual carer I am not employed in this capacity, so without financial support I couldn’t attend. The Victorian Carer Support Fund, TheMHS bursaries, Rotary and presentation payments have given me a voice – proving how community support makes a world of difference. Future offers of support would be very welcome! Can I contribute in some other way? helping to improve the site – feedback and suggestions are most welcome.